When Will Pine Lake Melt!? To celebrate the approaching fly-in season, we are holding a contest for all of our fans. 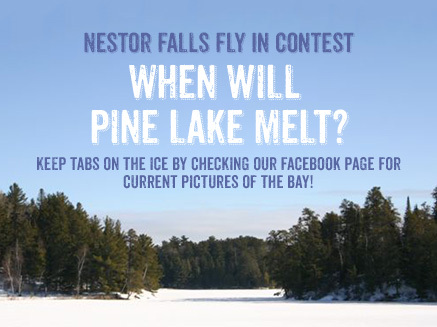 All you have to do is tell us: When do you think Pine Lake will melt!? The weathermen never get it right so we want to ask you! Guess right and we’ll send you a Nestor Falls Fly-In sweatshirt. Enter on Facebook for your chance to win!